A holistic and integrated approach to urban development and growth is pointing the way to the future for cities in the Middle East writes IQ reporter Hilary Hastings. Iconic buildings and mega developments have long been a feature of sky-lines and development in many Middle Eastern cities; their silhouettes instantly recognizable and standing as powerful symbols of success. However, with growing populations and fluctuating oil prices there is a changing emphasis in the approach to urban development which is less about landmarks and more about the future and long-term sustainability. Here we feature a range of recent innovative projects and developments that are helping to build strong foundations for the future by contributing to the larger planning and growth of cities, the identity and economic positioning of cities, expanding transportation and educational opportunities, diversifying economies and forging stronger international connections. A series of new plans is set to guide the long-term resilience and sustainable growth of the Saudi Arabian city of Jeddah by accommodating growth, generating employment, and improving streetscapes and the quality of the built and natural environment. Called the Jeddah Plans, the documents are designed to shape the city over the coming 20 years. Work on these plans was prompted by a storm that caused widespread damage and loss of life. The extent of destruction was exacerbated by a history of haphazard and informal development, and by the poor quality of the city’s infrastructure. In partnership with Jeddah Municipality, also known as Amana Mohafeza Jeddah, AECOM has worked to reverse current development trends, and delivered a series of plans that will help redefine the city’s future character. Redefining marine transport in the Middle East, and claiming the title as one of the largest greenfield port projects in the world, Hamad Port in Qatar is designed to act as a catalyst for the country’s trading industry. Completion of the port is critical for importing the resources and materials required to construct the facilities for 2022 FIFA World Cup Qatar. Comprising a new port, Hamad Port, a new naval base and the canal for Qatar’s Economic Zone 3, the development will enhance Qatar’s connectivity to the rest of the world. 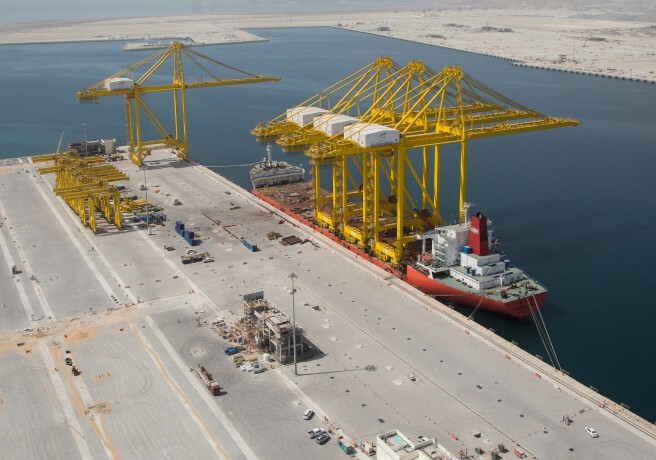 When operating at full capacity, Hamad Port will be able to handle six million twenty-foot equivalent unit containers (TEUs) per year across three container terminals. Other facilities include a general cargo terminal, livestock terminal, vehicle terminal, offshore supply base, port marine unit, and coastguard facility. 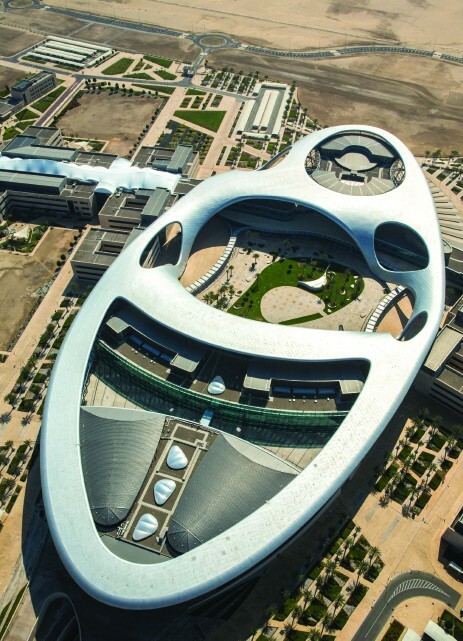 Contracted to the State of Qatar, AECOM provides comprehensive program management and construction supervision. One of the largest single railway projects to be implemented in the world, and the first railway of the United Arab Emirates (UAE), Etihad Rail comprises a network of 1,200 kilometres that will reach across all seven emirates. It forms the UAE component of the Gulf Cooperation Council (GCC) rail network connecting the UAE to Oman, Kuwait, Saudi Arabia, Qatar and Bahrain. In addition to overcoming the significant challenges of working in temperatures that regularly exceed 122 degrees Farenheit (50 degrees Celsius), this monumental and pioneering project involved extensive environmental considerations and careful planning to ensure that the railway does not create a barrier and negatively impact local communities and ecological habitats. 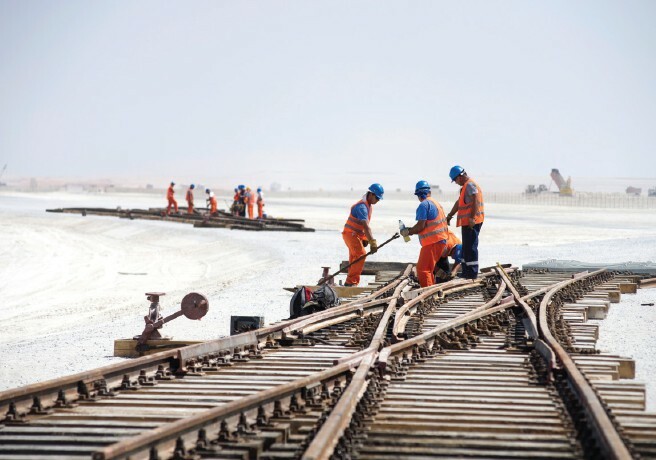 Expected to transport 50 million tonnes of freight and 16 million passengers over the coming two decades, this railway network will play a central role in the development of the UAE’s industrial infrastructure and future growth. Since early 2011, AECOM, in joint venture with Parsons, has been providing full program management services including design management and construction supervision for Phase 1 of the network. The project has recently won the GCC MEED Quality Award for Rail Project of the Year. With its vision of being the leading university in the United Arab Emirates, Zayed University aims to be recognized globally for its participation in educational and cultural achievements and enrichment of economic and social development through the expansion of the country’s higher education system. Futuristic and visually appealing, the institution ranges over 75 hectares with almost 30 buildings that could accommodate a population of 10,000 students. The campus has been designed to provide state-of-the-art classroom and laboratory facilities for teaching and research as well as a central conference centre and library. AECOM provided full design services from masterplanning the entire campus through schematic and detail design to providing full construction documents and site supervision. With a vision and policy and planning framework in place, AECOM is assisting the Ministry of Municipalities and Environment of Qatar in reviewing and establishing a future planning system. By considering existing systems elsewhere in the world, the vision for Qatar and the cultural context, AECOM is working with law firm, Pinsent Masons, to develop a more formal yet culturally appropriate system to shape the future planning of Qatar. AECOM and Pinsent Masons will also deliver training to support capacity building and implementation. 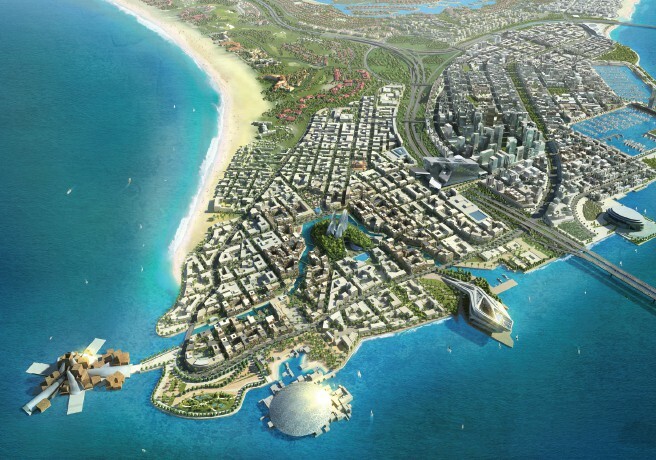 With a vision of creating a unique 21st century urban quarter with a focus on arts and culture, the ambitious Saadiyat Island development was conceived to support the diversification of the UAE economy. One of the key features of the overall island scheme is the Cultural District, a major international tourism destination which will be home to the Louvre Abu Dhabi, Guggenheim Abu Dhabi, and the Zayed National Museum. Other island districts include outstanding waterfront resorts, regional corporate headquarters, extensive residential development, and a vibrant new marina district with a dynamic retail and commercial offer. 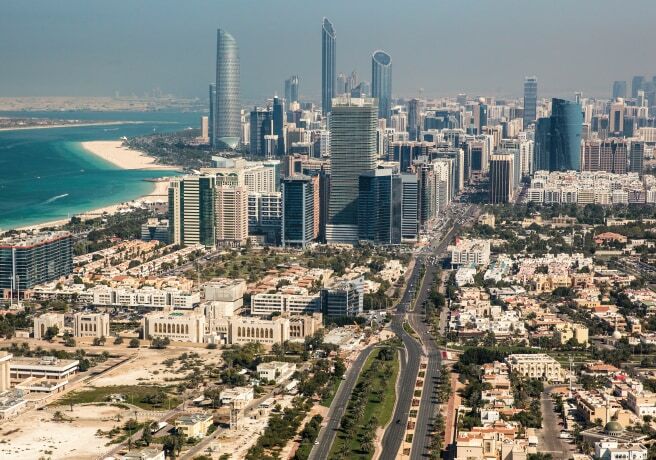 The project is a key piece in Abu Dhabi’s transformation. 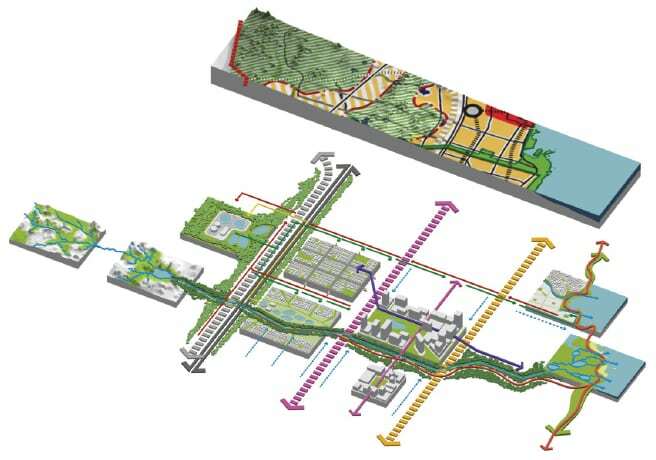 Along with the original masterplan of 2009, AECOM’s role continues by updating that plan, providing extensive program management services including overviews of the program, financial review and potential schedule conflicts.